Skookum Yacht Services, Vancouver, BC. Looking for boat yard staff. This is ostensibly an entry level position, so there will be lots of polishing and waxing, bottom painting, blasting, sanding and helping to prepare large jobs. 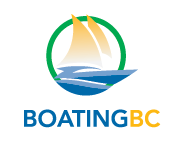 We are a small shop in a small market, and we do a wide range of work, so MST students or grads, or people with boating background, are preferred, because even this entry level position will require a rapidly expanding range of skills and interests. We pay better than average, but demand hard work, and a willingness to learn and to work just outside of your comfort zone. You will not be bored. Please send resumes and cover letters to info@skookumyachtservices.com.